Cleveland Browns Scribbles: With Josh Gordon in limbo, now what? CLEVELAND, Ohio -- Scribbles in my Cleveland Browns notebook as Josh Gordon announced he won't open training camp with the team: 1. 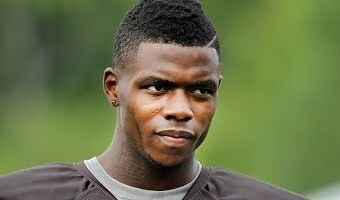 The Browns receiver had some type of setback, even if the reports are he didn't fail a drug test. As training camp opens, Gordon is receiving some type of treatment. Gordon and the Browns declined to elaborate. 2. Gordon did something like this in 2016. He went through all of training camp with the Browns. He had to serve a 4-game suspension to open the season. Just as the suspension ended and Gordon appeared eligible to play, he voluntarily went into a rehabilitation center. He didn't play at all in 2016. 3. Maybe this will be different. Perhaps Gordon will be able to tame the demons he has battled for years. The latest issue is anxiety, according to ESPN. 4. The Browns appear willing to stand with Gordon and support him during his treatment -- which is fine. But the Browns simply can't count on Gordon. Since then end of his Pro Bowl 2013 season, … [Read more...] about Cleveland Browns Scribbles: With Josh Gordon in limbo, now what?